The new Constitution of Kenya ratified in 2010 significantly expanded the role public interest litigation may play within the country, not only with its automatic inclusion of international law and recognition of socio-economic rights, but also with its expansion of who may file a claim as well as the ability to include compensation among desired reliefs. In this backdrop, Kenyans for Peace with Truth & Justice, the Africa Center for Open Governance and the Katiba Institute developed A guide to Public Interest Litigation in Kenya to equip public interest litigators with the knowledge and tools to be able to take advantage of these promising new developments. Natural Justice International Legal Fellow Jennifer Ingram attended the official launch of the new handbook on March 27, 2015 in Nairobi, which included among its speakers Head of the Constitution Advisory Support Unit of the United Nations Development Programme in Nepal Professor Yash Pal Ghai, Executive Director of the Kenyan Section of the International Commission of Jurists George Kegoro and United Nations Special Rapporteur on the Rights to Freedom of Peaceful Assembly and of Association Maina Kiai. 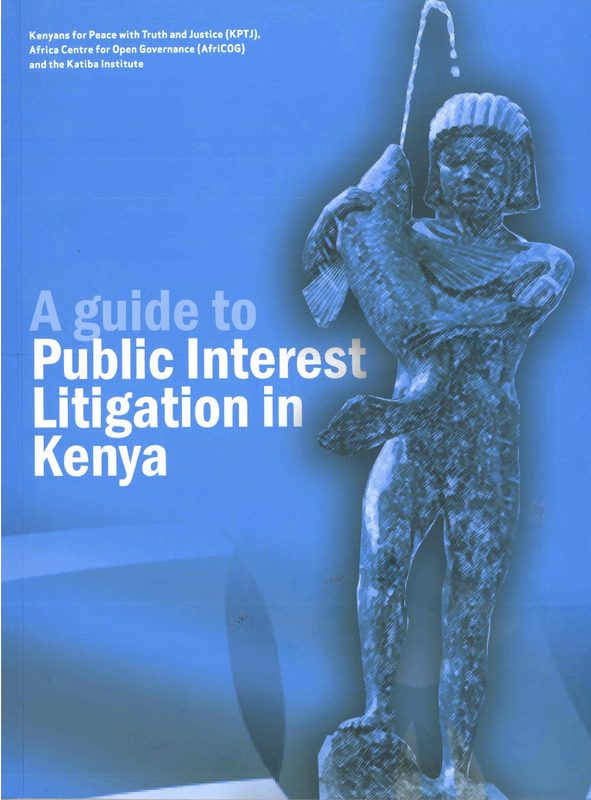 To download A guide to Public Interest Litigation in Kenya, visit http://kptj.africog.org/a-guide-to-public-interest-litigation-in-kenya/.